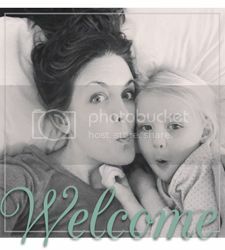 I bet the first mom blogger, whoever she was, never thought her idea to document her life in this way would spiral into what mommy blogging has become today. The internet is blowing up with mothers (and fathers) who blog about many things. But, at the core of those things it all comes back to the world of being a parent. I also wonder if some part of her knew that the ball she was beginning to roll was going to do all of the things it has done. I mean, you could have a laundry list of parenting issues and chances are good someone out there in the blogosphere would have written a post that you are SURE was written for you. You may even feel it was written about you, and your family, and everything you have endured. Isn't it amazing that complete strangers can open your eyes to something, show you when to maybe give yourself a break, or simply give you the freedom of knowing that you are not alone? 2) Once Upon a Dream Come True. I have to be flat out honest here. I read this post due to a link in a comment thread on Facebook. I have never read the blog before or since reading this post. But, this post really hit home for me. Every single day I think about how full my hands are. Instead of being overwhelmed when I think it now I smile and the moment gets so much easier. There are many, many more. But those are the two recently that often make me feel normal instead of like a crazy person. If I can share the relief you know I'm going to. After all, that first mommy blogger started it. On that note, here are a random smattering of videos I've been holding onto. They have nothing to do with this post, but they are also a little overdue. Plus, they are just so stinking cute. Enjoy! Watch closely. They scatter if they catch me taping. I guess Evie felt left out because she is "talking" loudly in the background. This is a horrible video. But something about it warms my heart. If you know nothing about Evie this is a good glimpse. It may be just a mother's eyes watching, but that girl is so ready to go somewhere. The jump up and down song is a staple around here. I would not survive without it. When the world is coming to an end, as it often does with toddler girls, I just start singing it. Suddenly things aren't so bad. Wouldn't it be nice if life was just a big jumping up and down party? Mobility is right around the corner...are we ready? I finally had a chance to really sit and watch these. I love them so much! I teared up when Carson called evie her baby sister. And I pray that she and Lila are still taking such good care of each other in 10, 30, 50 years! Thank you for capturing and sharing these moments.